LibreOffice Writer is better than Microsoft Word. If you are a web developer, you should understand that there are class and style. 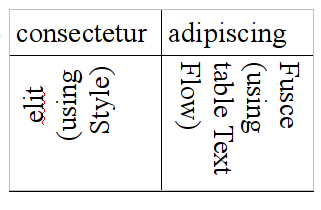 Using LibreOffice is tended to using class-like style, instead of direct formatting, which causes a lot of inconsistent, troublesome, and time consuming modification throughout the word processing. And this is happened when the newbies are using Microsoft Word to create templates for the advanced user like me, and causes me full of trouble as being tortured. The worst thing in Microsoft Word is the Numbering format. Microsoft Word sets the numbering format as properties of a paragraph. But LO Writer differentiates the paragraph style, character style, frame style, page style, and the list style. Thus, it is much more easier to use the list style in LO Writer. I admit that LibreOffice Writer still has some limitations comparing to some features of Microsoft Word, but for the styles and formatting, it is much more easier than using Microsoft Word. Now, let me go into the tips of the table in LO Writer. The LO version I am using is 5.0. In Writer, unlike image, table by default cannot anchor as character. Therefore, it cannot have some text at the left or right of a table. This can be solved by using frame. Insert table inside the frame. As the image above, you can see within the frame, there is an empty line after the table. This line, you cannot delete or “backspace”. So, in order to solve this, at the last cell of the table, press Ctrl+Shift+Del will delete the empty line. 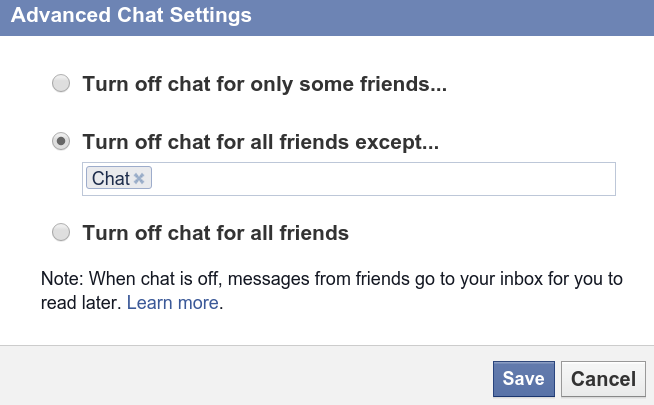 In order to add the empty line, Alt+Enter. After creating this style, just select the content of the cell you want to have a vertical align, apply the created style, than it will work. 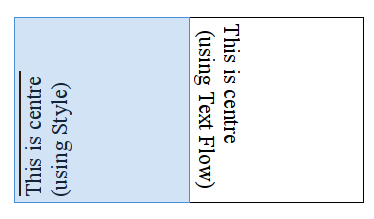 By using the Text Flow method, we cannot change the rotation direction as shown in the left bottom cell. But using this way, we can change the alignment and indent easily. 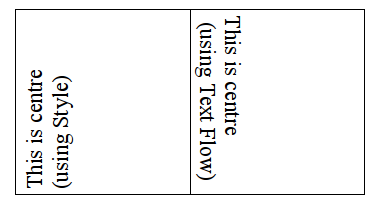 When we choose align to the centre, the text will be centre as usual. However, using the Style method, it is quite confusing. 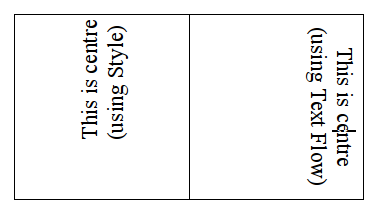 When using Style, if we align the text to centre, it is based on the view of the table, instead of make the text centre itself. The second cell has the same properties as above. Align the table (they left and bottom). As the image above, we want to adjust the left cell of the text, so that the text and the bottom border has some spacing, this have to customise the cell specifically. However, LO Writer does not show any clue for you to edit the properties of a cell, and it only shows you “Table Properties”. It is actually possible to customise a certain cell. Select a cell by highlight the content inside,librlibr then hold and move the cursor to next cell. We will discover that the cells are highlighted, instead of the text within. Now, the cell can be edited with Table Properties (which is actually selected cell properties). So, these are a few tips which are useful to manage the table in the Writer.